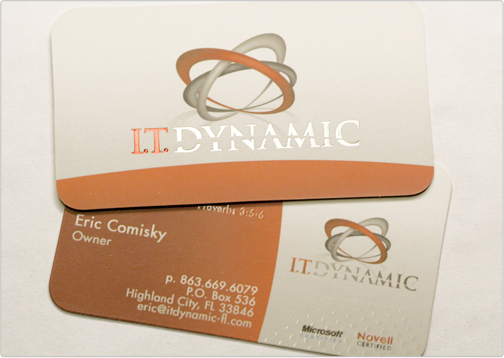 The dynamics logo and business card were both designed by Taste of Ink Studios. 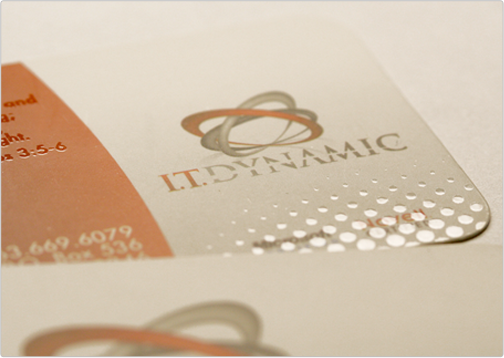 This business card incorporates a technology based brand, blended with many modern features. 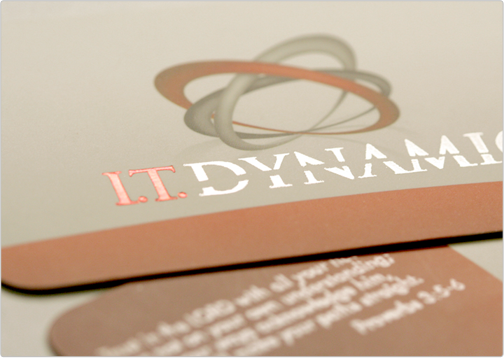 The card is printed on a 16pt silk matte finish and contains a spot gloss pattern, decorative silver and red foil, and stylish rounded corners.